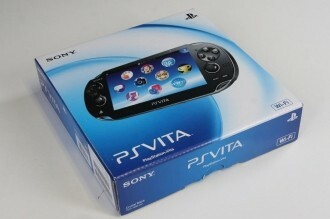 Sony today announced plans to slash the price of their handheld PlayStation Vita by as much as 33 percent in Japan. The move comes as Sony is feeling increased competition from free or cheap games sold on smartphones and tablets. Executives said the price cut was designed to make the platform more accessible than ever and will appeal to wider audiences looking to buy the model that best suitable for their game play style. Sony’s Wi-Fi only model currently retails for around $270 while the 3G unit commands just over $320. When the new pricing goes into effect starting on February 28, both models will sell for just $215. In related PS Vita news, Square Enix recently showed off a preview of their HD remake of Final Fantasy X. This was the first title in the franchise to be released on the PlayStation 2 way back in 2001. We’ve known about the remake for roughly two years but this is the first time that we’ve seen what the team has done with it thus far. It’s unclear at this hour when Final Fantasy X HD will be released or what other consoles it may be heading to but if I were you, I’d keep a close eye on Sony’s media event scheduled for this Wednesday. It’s widely anticipated that the Japanese company will introduce the world to the PlayStation 4 and with any luck, we might also hear something about more widespread PS Vita price cuts or the Final Fantasy remake.